Many secular Christmas songs have been written over the years, some successful, but most never made it to the big time. The second most popular song behind Bing Crosby’s White Christmas almost didn’t get recorded. Had it not been for Gene Autry’s wife, Ina, the little song may have languished for lack of attention and faded away into the trash can of history. In 1939 a little poem was written by Robert L. May for Montgomery Ward’s annual holiday booklet giveaway. It was a story of an outcast reindeer whose “differences” ultimately helped him save Santa’s threatened sleigh ride on Christmas Eve. To everyone’s surprise the poem sold over one hundred thousand copies. May’s brother-in-law, Johnny Marks, took the poem and composed a melody in 1947 and tried in vain to sell it to several popular singers, including Bing Crosby, Perry Como, and Dinah Shore, who all rejected it. By a stroke of luck, Gene Autry’s wife, Ina, heard Mark’s demo record and was enchanted by its “Ugly Duckling” theme. She strongly encouraged Gene to record it as a companion song to his Here Comes Santa Claus record. But her husband hated the song and refused to record it. 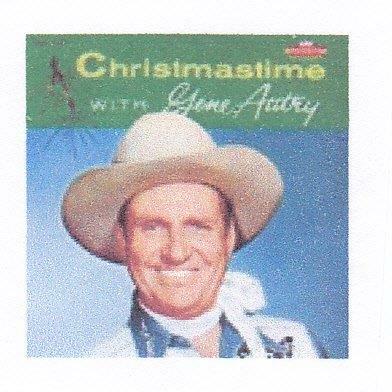 It became widely acknowledged that if not for Ina, there would be no “Rudolph, The Red-Nosed Reindeer” by Gene Autry. Carl Cotner, Gene’s musical director also tried to talk Gene into recording it. Carl had told Gene he thought it would be a good song for him, and Carl did the arrangement. At a recording session Gene said, “How about that little song that you are so crazy about?” They placed it on the music stand and he recorded it in one take. It was later admitted that Ina had talked Gene into doing it. Five weeks later, on August 4th, Gene cut two more Christmas numbers, Santa, Santa, Santa and If It Doesn’t Snow On Christmas which had moderate success. “Rudolph” became a favorite on The Hit Parade and soared to the top of the Billboard Country and Western, and Pop charts, a first for Gene Autry. During its first year of release, “Rudolph” sold two million copies, selling an estimated twenty-five million more over the next forty years. For decades it remained the best selling single of all time after Bing Crosby’s White Christmas. The song also anticipated a new trend for Gene – recording songs specifically geared to the children’s market. 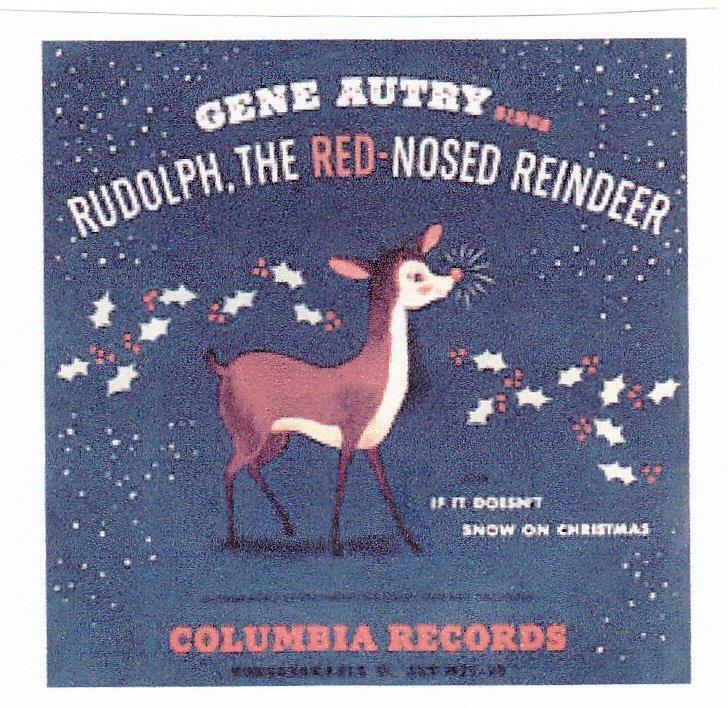 Over the years “Rudolph” would be recorded by more than five hundred artists, but Gene’s version always seemed to be everyone’s favorite. AUSTIN – In the state’s ongoing effort to combat the spread of invasive zebra mussels, the Texas Parks and Wildlife Commission has approved for public comment a proposal to add 30 counties in North and Central Texas to the recently-implemented rules requiring that all boats operating on public water be drained after use. Additional counties being considered for vessel draining requirements are: Archer, Bastrop, Bell, Bosque, Burnet, Clay, Comal, Comanche, Coryell, Eastland, Ellis, Erath, Falls, Fayette, Freestone, Hamilton, Hays, Henderson (west of Hwy 19), Hill, Johnson, Leon, Limestone, Llano, McLennan, Navarro, Robertson, Somervell, Travis, Wichita, and Williamson. The water draining regulations were implemented December 10 and are in effect on all public waters in Collin, Cooke, Dallas, Denton, Fannin, Grayson, Hood, Jack, Kaufman, Montague, Palo Pinto, Parker, Rockwall, Stephens, Tarrant, Wise, and Young counties. These same regulations are also in place on an emergency basis in Belton and Coryell counties. The current rules require that persons leaving or approaching public water in the affected counties drain all water from their vessels and on-board receptacles. This applies to all types and sizes of boats whether powered or not, personal watercraft, sailboats, or any other vessel used to travel on public waters. Applicable in all areas where boats can be launched, the regulation requires the draining of live wells, bilges, motors, and any other receptacles or water-intake systems coming into contact with public waters. Under the current rules, live fish cannot be transported in water that comes from the water body where they were caught and personally caught live bait can be used only in the water body where it was caught. The department is proposing to modify rules that affect participants in fishing tournaments that hold off-site weigh-ins. The proposed changes would allow anglers participating in a fishing tournament confined to one water body to transport live fish in water from that single water body to an identified weigh-in location, provided all water is drained before leaving that location. Anglers would be required to possess documentation provided by tournament organizers that would identify them as participants in a tournament. Movement from one access point to another on the same lake during the same day does not require draining and there is an exception for governmental activities and emergencies. Marine sanitary systems are not covered by the new regulations. The public may comment on the proposed rules online at http://tpwd.texas.gov/business/feedback/public_comment/proposals/201401_water_draining.phtml. Comment may also be made in writing to Ken Kurzawski, TPWD Inland Fisheries, 4200 Smith School Rd., Austin, TX 78744, by email at ken.kurzawski@tpwd.texas.gov, or in person at any of the following two public hearings. All meetings are set to begin at 7:00 pm. Tuesday, January 7 in Austin at TPWD Headquarters, Commissioners Hearing Room, 4200 Smith School Rd..
Thursday, January 9 in Waco at the McLennan County Courthouse, Commissioners’ Courtroom – 1st Floor, 501 Washington Ave.. In December we begin to hear many radio stations play the famous, old Christmas carols that we all love to hear. Most of these carols or hymns are very old and tell the true story of the Christmas season and the real reason for the season. One of these songs is “The Twelve Days of Christmas” which predates most of the other carols as it was first published in 1780. As examples, “Silent Night” was written around 1818, while “O Little Town of Bethlehem” was penned in 1868. Most people view “The Twelve Days of Christmas” as a delightful nonsense rhyme set to music. It has a repetitious melody with pretty phrases and a list of strange gifts. But, the song had a quite serious purpose when it was written. “The Twelve Days of Christmas” was written in England as one of the “catechism songs” to help young Christian Catholics learn the tenets of their faith. Catholics in England during the period 1558 to 1829, when Parliament finally emancipated Catholics in England, were prohibited from any practice of their faith by law, private or public. It was a crime to be a Catholic. In fact, you could get imprisoned, hanged, or your head chopped off if you practiced your Catholic faith. 2 Turtle Doves – The Old and New Testament. 3 French Hens – Faith, Hope, and Charity, (the Theological Virtues). 4 Calling Birds – The four Gospels. 5 Golden Rings – The first five books of the Old Testament (the Pentateuch) which gives the history of man’s fall from grace. 6 Geese-a-laying – The six days of creation. 7 Swans-a-swimming – The seven gifts of the Holy Spirit. 8 Maids-a-milking – The eight beatitudes. 9 Ladies Dancing – The nine fruits of the Holy Spirit. 10 Lords-a-leaping – The ten commandments. 11 Pipers Piping – The eleven faithful Apostles. 12 Drummers Drumming – The twelve points of doctrine of the Apostle’s Creed. The twelve days of Christmas actually refer not to the days preceding December 25th, but to the twelve days after Christmas, i.e. December 26th to January 6th, which is the day before the Epiphany. Interestingly, some one has calculated the cost or value of all the gifts in the song in the year 2011, which would total $24,263.18. Of course, that would be earthly value and not the Heavenly value. So, the next time you sing “The Twelve Days of Christmas”, you might have a greater appreciation of the lyrics and their true, hidden, meaning. Around 1920 the use of the term was popular in the coal-producing states of West Virginia and Kentucky. Striking coal workers usually wore red hankies around their necks to reflect their position to management. Thus they were called “red necks” by non-union people. Good Ole boys, on the other hand, are the sons of Red Necks, usually from eighteen to thirty-five years old. Good Ole Boys are normally from the Deep South and they like cheap beer, NASCAR, football, professional wrestling, hunting and fishing, and country music. They usually carry a personal spit cup on their person while chewing their tobacco. 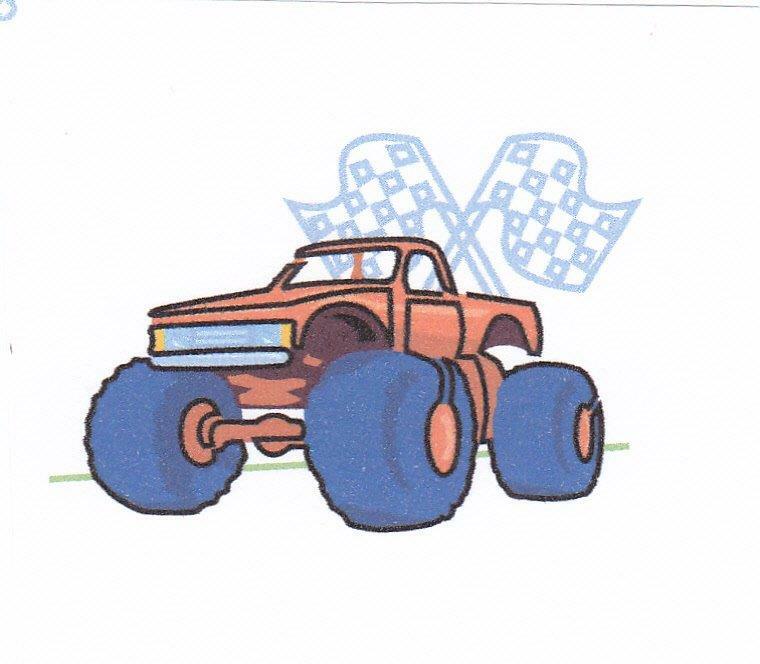 Good Ole Boys most often drive a rusty muscle car or a four-wheel-drive pick up. They are not looked upon as a bad person, in fact most are pretty good-natured guys. He is a Southern-born boy who is country to the core and proud of it. He likes to hunt and could not be prouder of his gun collection. He carries one knife in his pocket, and another one in his boot, in case the one in his pocket gets confiscated. The Good Ole Boy is a hard-working, honest gentleman who prefers the simple life and is just looking for a girl he can take shooting. A giant rack will do strange things to a man. Just ask Brad Jerman, who tried sleeping in his tripod stand after spotting the buck of his dreams. After a few hours Jerman came to his senses, crawled back home for some sleep and then went back for another go-round at 3 a.m. He literally crawled back to his blind for the second time in 12 hours to avoid detection. Jerman’s crazy scheme worked, however, as later that morning he killed this 201 1/8 B&C trophy in Warren Co., Ohio, and the No. 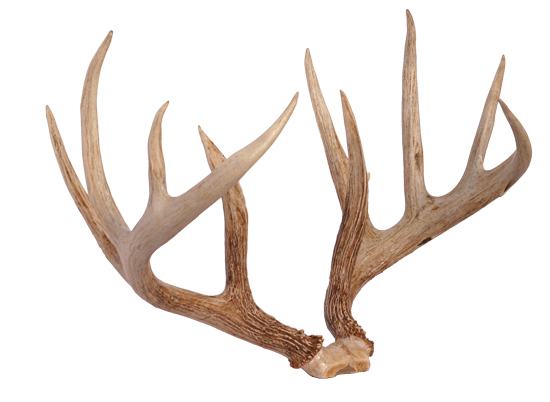 12 typical whitetail of all time. I remember the Lone Ranger’s side-kick, his faithful friend and fellow crime fighter, Tonto. He played an American Indian who called the ranger “Ke-mo-sah-bee”, which means “trusted friend”. Tonto did not wear a mask, and little is known of the actor who played this part for many years. His stage name was Jay Silverheels. He was born Harold J. Smith on May 26, 1912 in Ontario, Canada. He was born on the Six Nations of the Grand River First Nation near Brantford, Ontario, one of eleven children. His father, Major George Smith, was a Canadian Mohawk tribal chief and military officer. Silverheels excelled in athletics and lacrosse before leaving home to travel around North America. He lived in Buffalo, New York, and in 1938 placed second in the middleweight class of the Golden Gloves tournament. While playing in Los Angeles on a touring box lacrosse team in 1937, he impressed the comedian Joe E. Brown with his athleticism. Brown encouraged Silverheels to do a screen test, which led to an acting career. He then began working in motion pictures as an extra and stunt man. Beginning in late 1940, he played in several major films under the names Harold Smith and Harry Smith. Silverheels achieved his greatest fame as the Long Ranger’s friend, Tonto. Being irreplaceable, he also appeared in the films, The Lone Ranger (1956) and The Lone Ranger and the Lost City of Gold (1958). Silverheels’ movie name Tonto means “wild one”. He rode a horse named “Scout” along side the Lone Ranger. 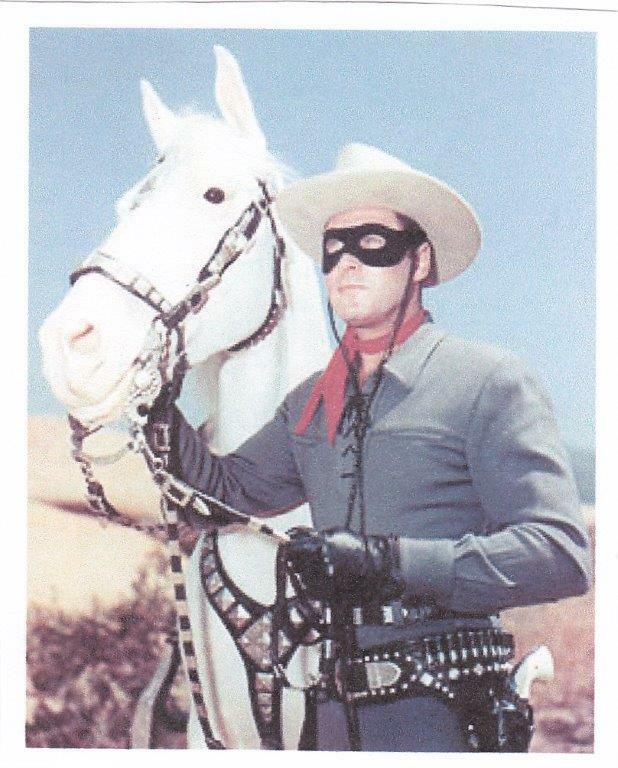 When the Lone Ranger television series ended in 1955, Silverheels found himself firmly typecast as an American Indian. In 1960 he portrayed an Indian fireman trying to extinguish a forest fire in an episode of the series Rescue 8. Eventually, he had to go to work as a salesman to supplement his acting income. In the ensuing years he had a few bit parts in low budget movies, usually playing an Indian. Silverheels spoofed his Tonto character in later years. He was and educated man, but his part required him to speak using only a few halting phrases which he disliked. Silverheels raised, bred, and raced horses in his spare time. Once when asked about possibly running Tonto’s famous paint horse, Scout, in a race, Jay laughed off the idea – “Heck, I can outrun Scout!” Married in 1945, Silverheels was the father of three girls and one boy. He died in 1980 from complications of a stroke at the age of 67 in Calabasas, California. He was cremated at Chapel of the Pines Crematory and his ashes returned to the Six Nations Indian Reserve. As the first true American Indian actor to gain such fame, Silverheels was inducted into the Hall of Great Western Performers at the National Cowboy & Western Heritage Museum in Oklahoma City in 1993. He was named to the Western New York Entertainment Hall of Fame, and his portrait hangs in Buffalo, New York’s Shea’s Buffalo Theatre. He has a star on the Hollywood Walk of Fame. 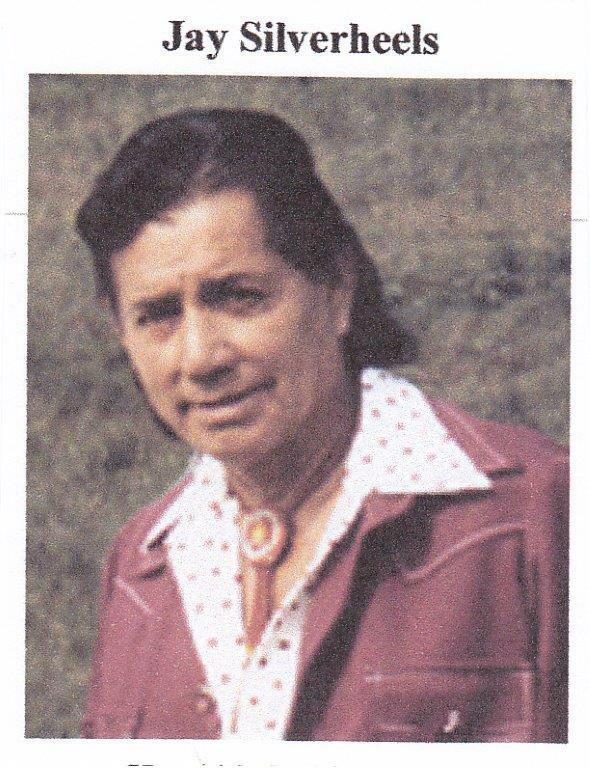 In 1997 Silverheels was inducted, under the name Harry “Tonto” Smith, into the Canadian Lacrosse Hall of fame in the Veteran Player category in recognition of his lacrosse career during the 1930s. As it turns out, the man without the mask achieved as much or more fame during his life than did the Lone Ranger himself. Such is life. As a rookie deer hunter, Wayne Bills had one of the best cases of beginner’s luck in recent memory. Bills, who hadn’t killed a deer before 1974, heard shots a few hills over and turned to see what the commotion was all about. 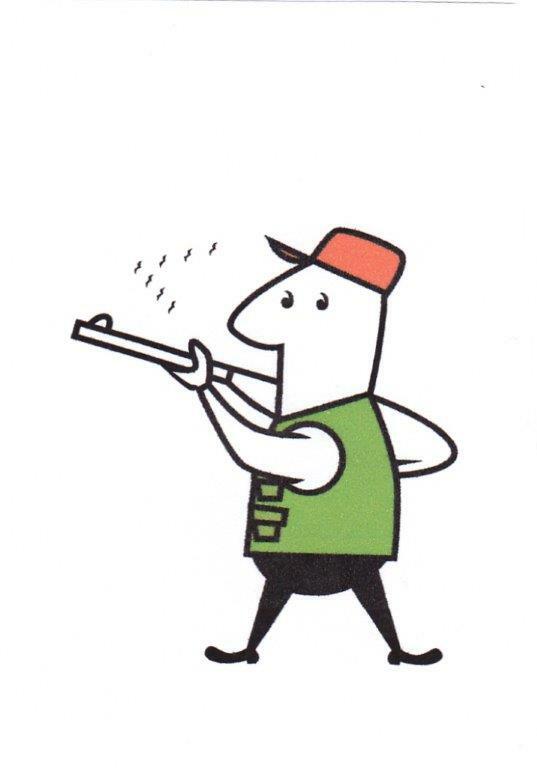 Bills saw the buck headed his way in a hurry and took aim with his shotgun. Bills made the fateful shot, killing the No. 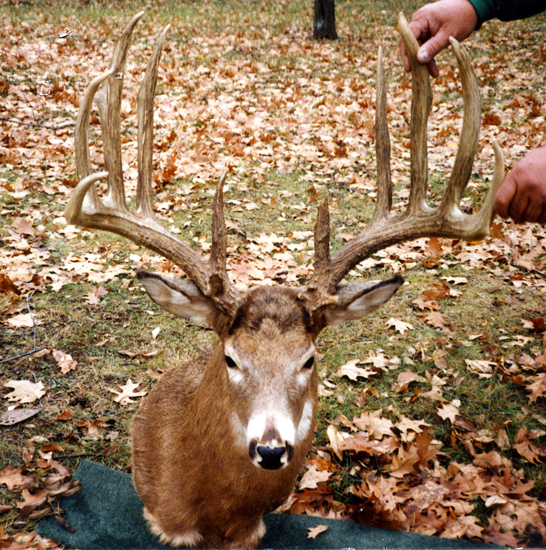 11 typical whitetail of all time, scoring 201 4/8 B&C from the state of Iowa. Interestingly enough, the buck had a broken brow tine but was still able to place high in the record book.